The Marsland Centre is a Waterloo landmark uniquely situated in the heart of Uptown Waterloo. At 13 storeys and 115,000 square feet, it has a dominant physical presence in the uptown area and provides a fantastic view of the city. The building offers an abundance of tenant and visitor parking, ease of access, and very high visibility, and has developed into Waterloo's premier location for financial services and consulting firms, with a strong list of blue chip tenants. 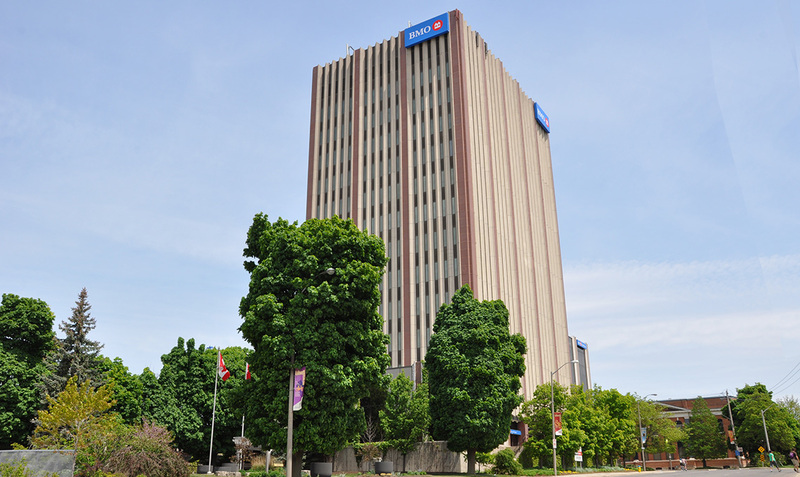 Most notably, BMO Financial Group have created an absolute powerhouse in Uptown Waterloo by bringing together BMO Commercial Banking, BMO Nesbitt Burns, BMO Private Banking, and the headquarters for BMO South Western Ontario Division all under one roof in the Centre. South Western Ontario Division controls all of the retail banking in Ontario outside the GTA and is BMO's largest personal and commercial banking division in the country. The building has been systematically upgraded, refurbished and expanded in recent years offering state of the art HVAC systems, water-conserving plumbing fixtures, and three high-speed elevators servicing all floors. The two-level parking structure provides 220 spaces—with 40 available for visitors to use through an automated "pay and display" system. Several city-owned parking lots are also in the area. Waterloo's central intersection at King and Erb is a short block away, providing easy access to major Grand River Transit bus lines as well as to the future LRT. Security features include a keyless magnetic card access system and a phone entry system for after-hours client access. The lower level of the parking structure is well-lit with direct access into the building. There is a myriad of choices available for fibre optics, data & communications in the building. 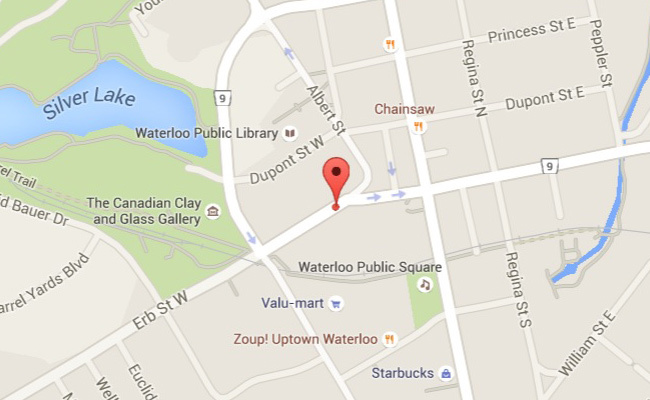 The Bell Canada fibre switching centre for Uptown Waterloo is located in Marsland Centre. Fibre POP rooms for Allstream and Rogers Communication are also located in the building. Uptown Waterloo offers excellent lifestyle amenities in the areas of culture, sports, shopping, education, and recreation, all within walking distance to the building. Within a four block radius, you will find dozens of restaurants, banks, grocery stores, drug stores, book stores, clothing stores, the Canadian Clay and Glass Gallery, the Waterloo Public Library, the Waterloo Recreation Centre Sports Complex, Waterloo Park, the Perimeter Institute and much more. Northfield's Uptown Bistro, located in the basement, also offers great lunches and onsite catering. 2014 – Marsland Centre became the inaugural member of Sustainable Waterloo Region’s Collaborative Facility Membership for their Regional Carbon Initiative (RCI). 2011 - Marsland Centre received a BOMA BESt Level 3 certification recognizing environmental leadership in the commercial real estate industry.